Gosh! It feels good to finally be back online. Had some internet woes the past few days and well, you know how that is. It’s incredibly frustrating! Often, we just don’t realise how reliant we are on being connected to that great wide web. While nice to detox, it’s frustrating when you need to get work done. But whining aside, let me show you something cheery instead. When I was down in Singapore a few weeks ago, I met up with Mag of makeupstash.com, a beauty blogger I’d known since our early blogging days. We finally had the chance to meet up after all these years and I have to say that it was one of the most incredible meet-ups I’ve ever had! We were jawing on like old friends (which we technically are) and spent a mind-boggling 7 hours just chatting and doing a bit of makeup shopping – as you do! 😉 I had loads of fun! It’s funny that I’d pick up a hand cream though. I’m not your usual hand cream user. In fact, I don’t use it at all! But I blame the lovely lavender scent that drew me right in and made me pop the tube into my basket. 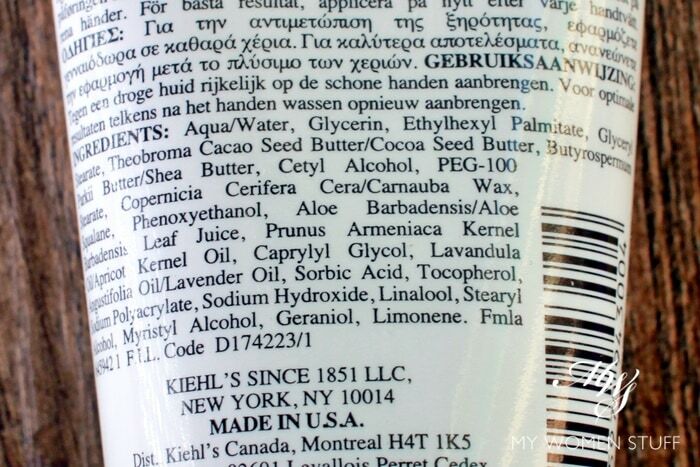 I know Kiehl’s makes a hand cream (which I’ve never used) so I don’t know how this is different. All I know is that the 3 scents and perhaps this formula, are limited edition for Christmas 2015. So, it was Lavender by default, and also because it was such a lovely burst of comfort! I liked the slightly thick hand cream texture, that melts right into skin without feeling the least bit sticky or greasy. After a little while, you don’t feel it anymore. The scent of lavender is a rather sharp, fresh scent, that doesn’t smell powdery or musty. It smells refreshingly relaxing, if that even makes sense. But happily (or unhappily, depending on how you feel) the scent doesn’t linger very long on your hands. I find that when I first use it, I get to breathe in the wonderfully relaxing scent of lavender, which is a nice way to wind down in the evenings, or to bring a spot of calm in the middle of your day. But after a little while, the scent dissipates, and I don’t smell it anymore. I like that, because it means it doesn’t mess with my perfumes of the day. So what I bought was the full size 75ml tube of the Lavender hand cream, and I got everything else gratis! I don’t know if the full size is sold here in Malaysia (the Kiehl’s website is very unhelpful in that regard) but I paid S$27 for the tube. 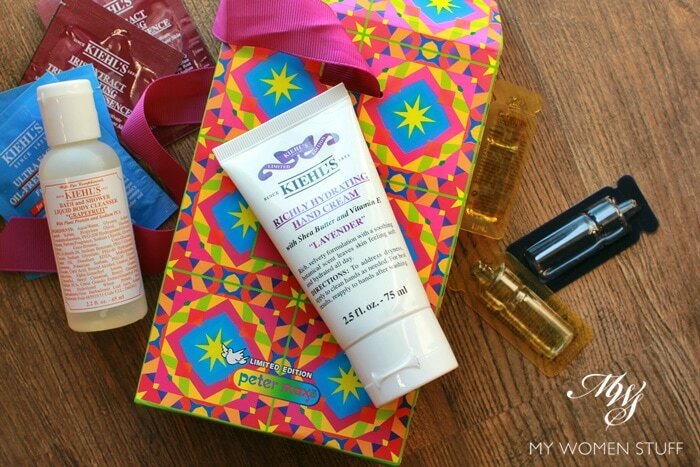 The Kiehl’s Richly Hydrating Hand Cream is a limited edition range of hand creams available in 3 scents for Christmas 2015 – Lavender, Grapefruit and Coriander. I picked Lavender due to the fresh scent of lavender that relaxes and calms. The texture of the cream is fairly thick, but absorbs quickly into the hands without a greasy or sticky after-feel. I think it’s a pretty decent hand cream, and the lavender one smells absolutely lovely! There is a sampler set containing all 3 scents in limited edition box packaging, and I don’t know if the full size version is available here in Malaysia. This was purchased in Singapore. 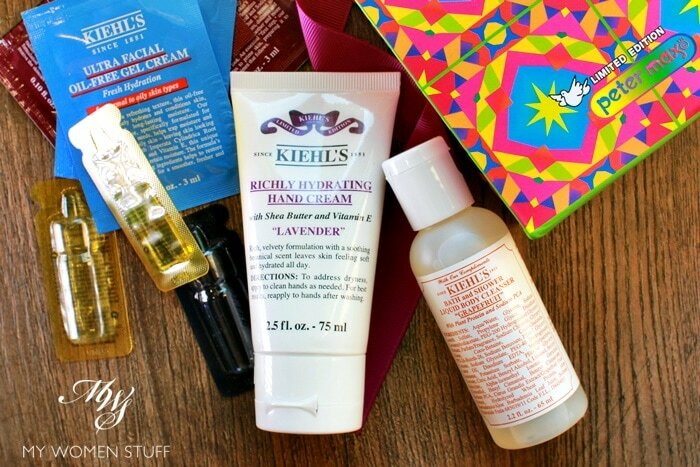 Did you check out Kiehl’s Christmas offerings for this year? Would you have picked up a Coriander scented hand cream?! Ah it must be heaven for you to shop in Malaysia, Nicole! Not so much fun for me due to our low exchange rate, so everything was expensive 🙁 But it was nice to browse around and ogle nonetheless! my god i was just there at pavi earlier and was SO TEMPTED to grab that moisturiser. I held it and held it and held it and smelled it and smelled it and tried it… but walked away. coz didn’t bring enough cash. LUCKY. RM55 woh, not bad right? Sounds lovely! I am awash in hand creams though, with 2 open and 2 sample jars in use too. This sounds so good, I love hand creams and I love lavender.. Lavender scented hand cream! Sounds like something I can get behind.. ? Did you get the new masks? 😀 They are launching here soon and I’m quite excited about them.